FOLSOM, Calif. (August 13, 2018) – Their stories reveal tales of love lost and rediscovered, finding strength through adversity, wartime memories, humorous triumphs, and much, much more. They are the stories from our greatest generations – America’s seniors – and they are being told, saved and treasured in “living history” in the form of a digital and social media initiative called These Eyes Have Seen®, www.theseeyeshaveseen.com. Now, seniors in and around Folsom are invited to audition their own special stories for permanent placement on These Eyes Have Seen when auditions are held at Creekside Oaks Retirement Community on Thursday, September 13, 2018. Launched in 2015, These Eyes Have Seen celebrates seniors by documenting their stories to provide joy, inspiration and guidance to people everywhere. To date, more than 100 stories from across the country have been documented, all accompanied by visually stunning photographs that capture not only the essence of the story but of the storytellers themselves. The seniors profiled to date offer insights into the experiences that impacted them most in their rich and long lives, how they reflect upon with their greatest happiness or regret, and various words of wisdom on what it means to lead a life well-lived. A passion project of Sunshine Retirement Living, which manages 20 retirement communities in nine states, plans for the project include growing it to showcase hundreds more seniors across the country in coming years. The September 13 auditions will be held from 11:00 a.m. to 1:00 p.m. during Creekside Oaks’ “Gold Rush Days” Celebration and Open House. The event will feature entertainment by local Gold Rush enactors and presenters, live country western music, and complementary food and beverage including BBQ Pork Sliders, Quesadillas, Baguettes with cream cheese, salmon, shrimp, and vegetables, pastries, fruit tart and Apple Strudel. Reservations are required by Monday, September 10, by contacting Michael Dettmer at (916) 983-3397 or michael.dettmer@sunshineret.com. 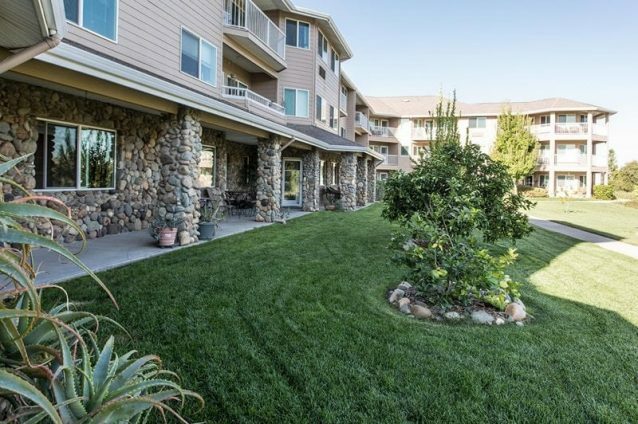 Based in Bend, Ore., Sunshine Retirement Living manages 20 retirement communities in nine states, offering senior apartments, independent living, assisted living and memory care. A family-owned business with more than 20 years in the senior housing industry, Sunshine Retirement Living’s mission is to be the preferred senior living provider offering value, choice and independence while promoting health and social interaction that exceeds residents’ expectations and enriches the lives of both residents and staff. By providing meals, housekeeping, activities, transportation, utilities and in-house management staff, Sunshine Retirement Living continues to build an unparalleled community feeling in each property. For more information, visit www.SunshineRet.com or connect socially.